Sulfoanted poly(ether ether ketone) membranes were prepared by the sulfonating agent sulfuric acid. 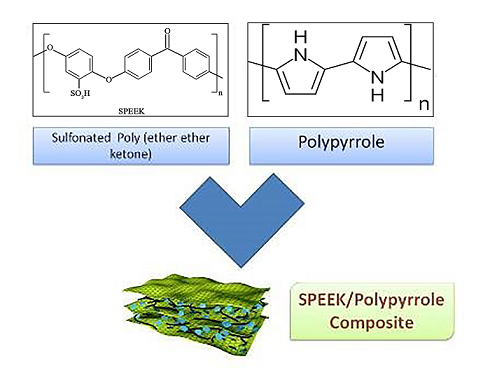 These membranes were modifed by incorporating conducting polymer polypyrrole in order to increase the ionic conductivity and reduce the methanol transmission rate. 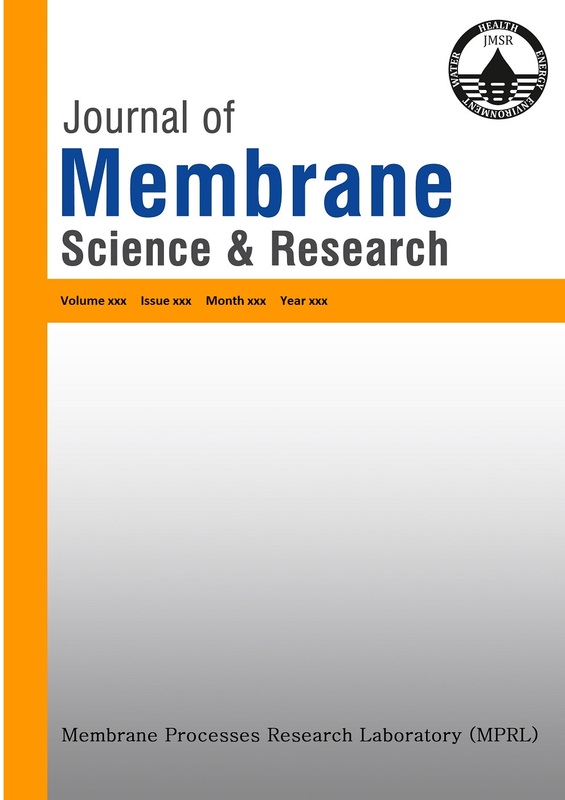 The modifed composite membranes were then compared on the basis of ionic conductivity, methanol transmission rate and thermal stability. Results indicated that the new membranes were thermally stable up to 300ºC and gave moderate ionic conductivity. Consequently, composite membranes show less water uptake and swelling. The composite membranes were then characterized by FT-IR spectroscopy, Diﬀerential Scanning Calorimetry (DSC), Thermogravimetric analysis (TGA), and ionic conductive properties were evaluated by Electrochemical Spectroscopy Impedance.